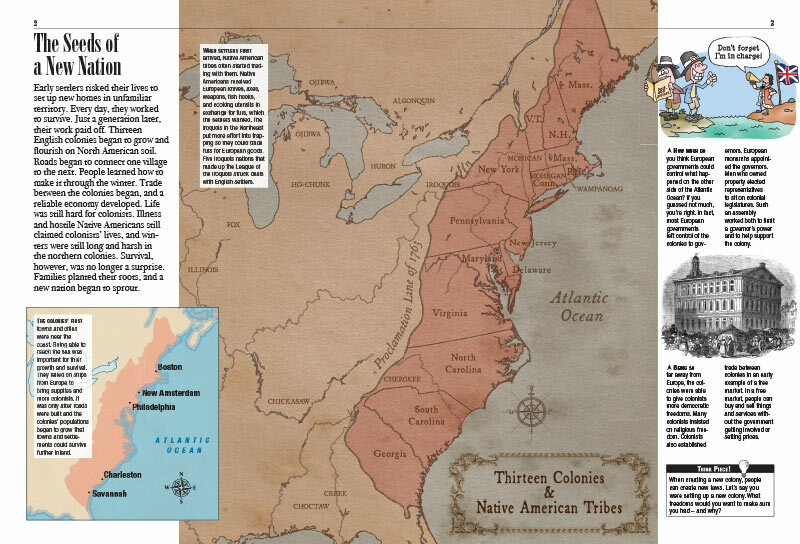 Before America was the United States, it was a group of 13 colonies. Ready to hop on a slow train heading south? First stop: the Massachusetts Bay Colony where kids can discover that religious freedom doesn’t necessarily mean freedom for every religion. 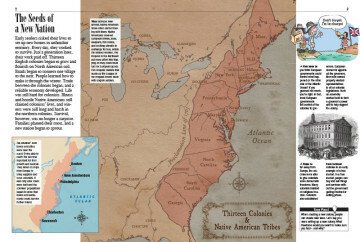 After a slight detour to explore the region’s communities, the train continues south to the Middle Colonies. 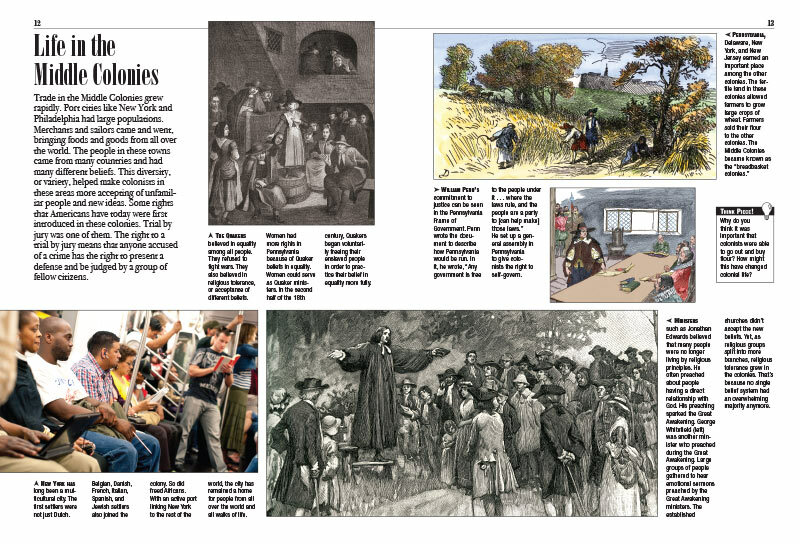 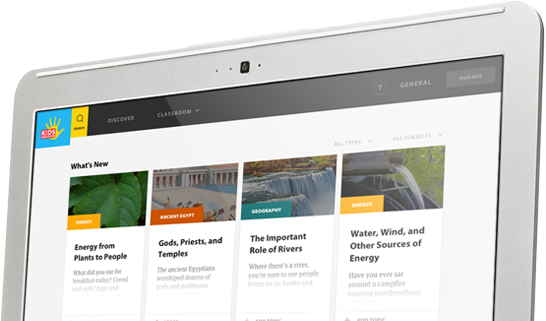 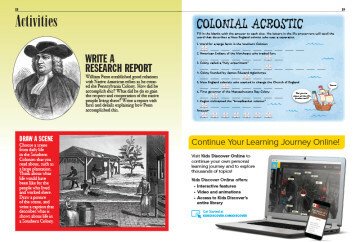 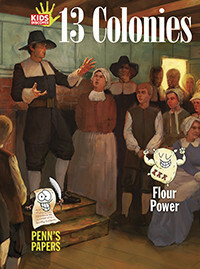 There, kids get an overview of Quaker beliefs, the Dutch West India Company, and the founding of New York, New Jersey, and Pennsylvania. 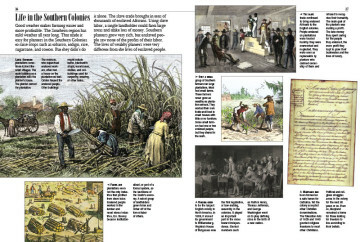 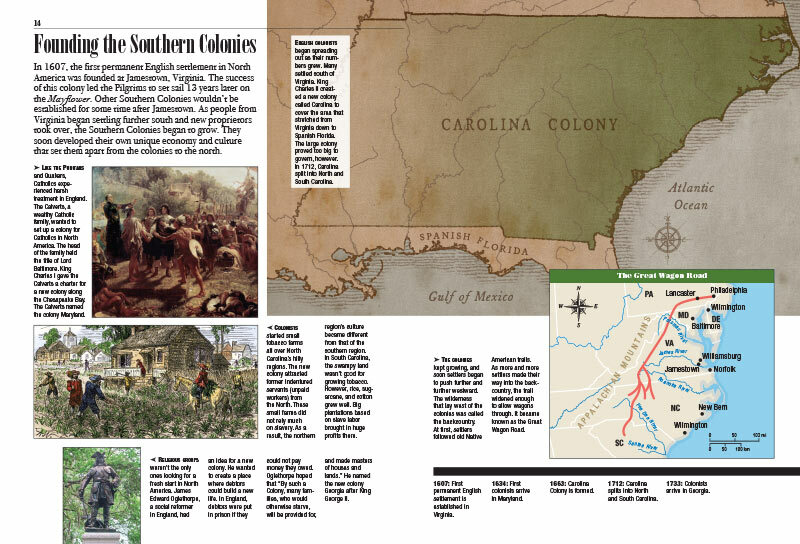 Heading farther south toward the final destination, kids arrive in the Southern Colonies and discover how rice, sugar, and cotton laid the groundwork for culture, growth, and trouble. 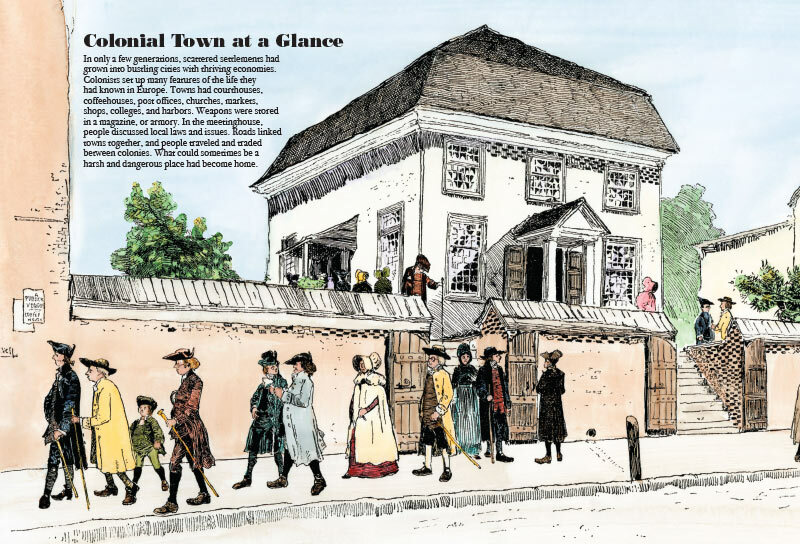 Kids curious about life back in the day can explore in-depth portraits of communities up and down the coast, including the reality of enslaved plantation labor in Southern Colonies and the organization of New England communities around the all-purpose commons. 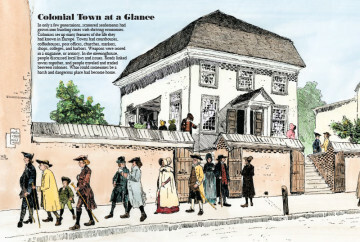 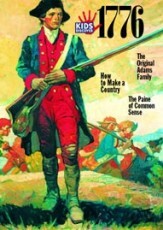 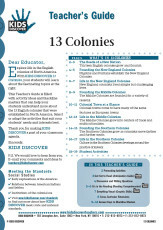 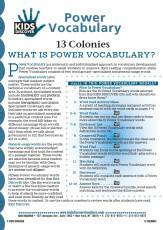 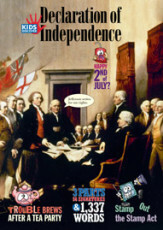 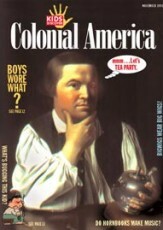 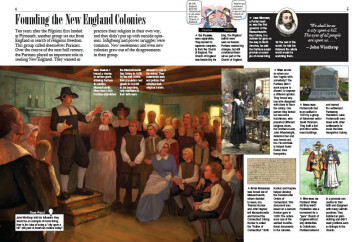 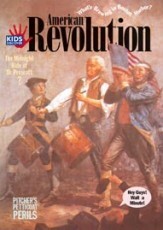 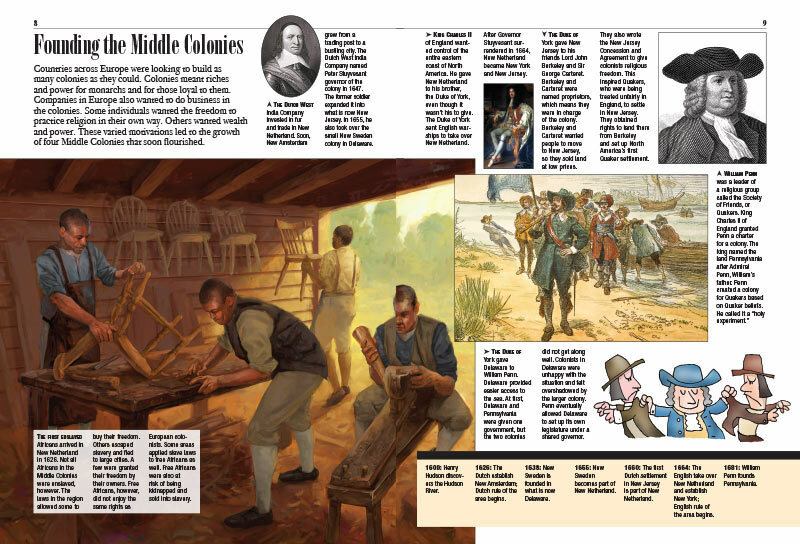 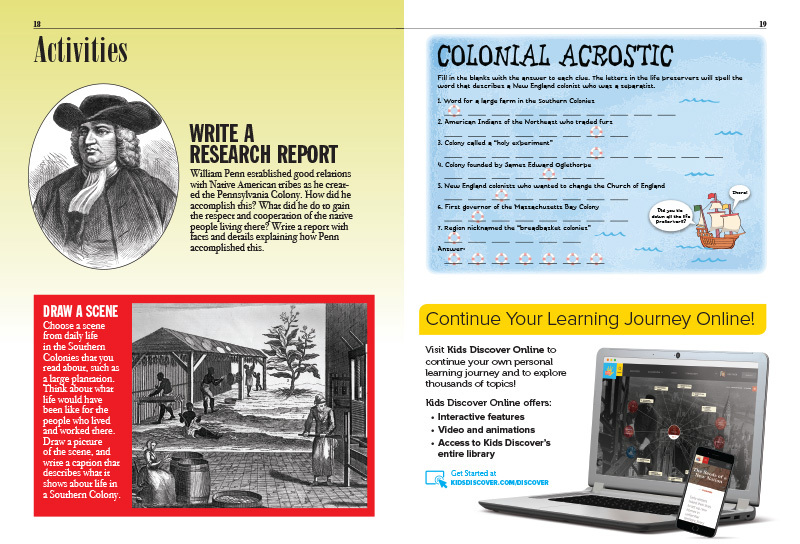 For kids who want more details about events surrounding the founding of the colonies, they can read about historic touchstones like how the Duke of York divvied up much of New England to form New York, New Jersey, Delaware, and Pennsylvania. 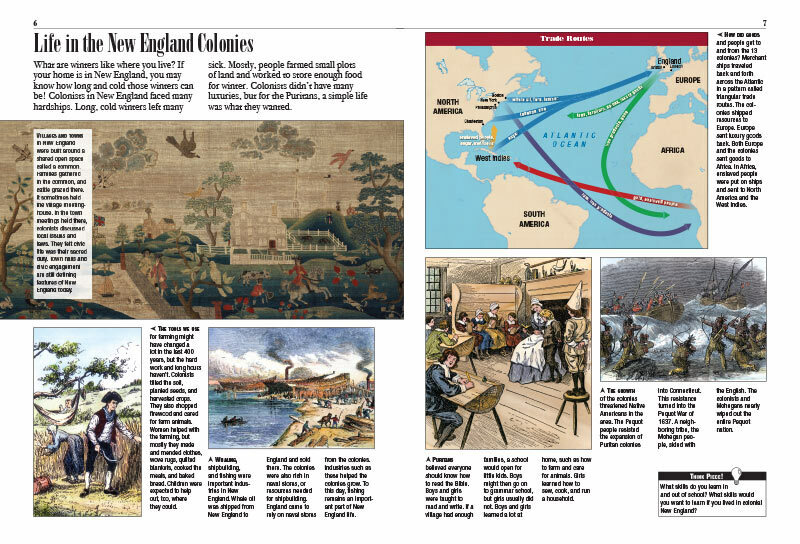 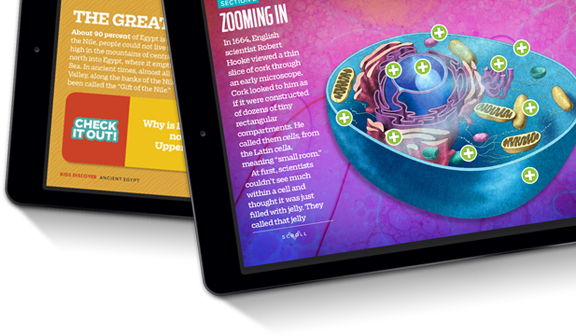 Visually oriented kids can enjoy diving into the maps and time lines that help keep the details straight.